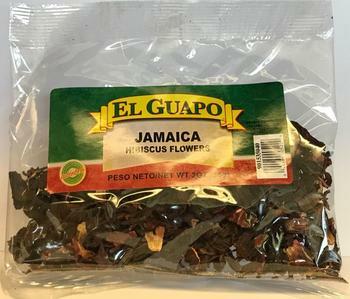 Mojave Foods Corporation is recalling four sizes of El Guapo Jamaica Hibiscus Flower packages. The products contain peanuts, an allergen not declared on the label. There are no reports of any allergic reactions related to the products covered by this recall. Customers need not return the products to the store where they were purchased, but should dispose of them with their containers. Consumers with questions may contact the company at (800)635-2867, weekdays from 9:30 AM – 7:00 PM (ET), or by email at Laurie_harrsen@mccormick.com.